On Friday lunchtime this week, I sat down with my friends and watched them chow down on a veritable feast of falafel. 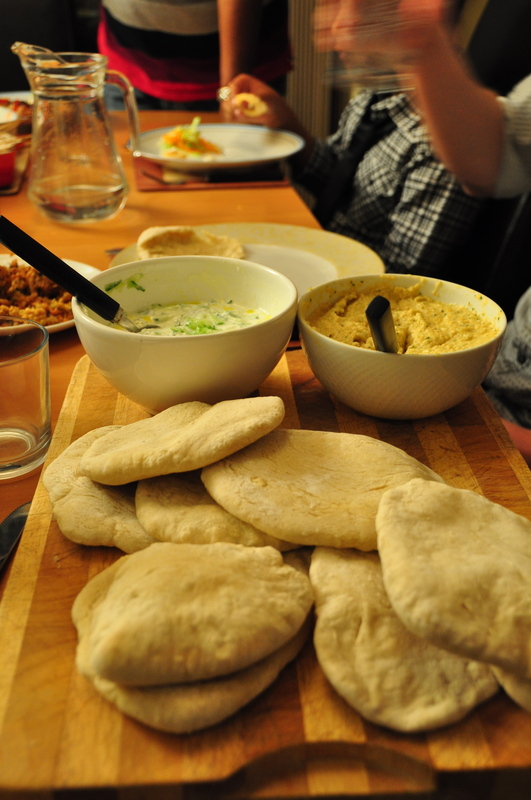 Both of them had fluffy white pitta breads stuffed with salads, hummus, chilli and falafel. Meanwhile I nibbled away at a pot of Edamame beans and a banana. The gulf in the appetite whetting nature of our lunches was mostly down to my bad organisation, but it spurred two important thoughts. One: when can I eat falafel and pitta, I want it now! and two: I need more interesting lunches. I have always said this project is not about deprivation but experimentation and love of food. So I just need to start making sure that I’m having good food every meal rather than just elaborate weekend feasts and salads for the rest of the week. This spurred on my new campaign for March, which I have titled “ Interesting Lunch Month” – but as the month is only just starting perhaps its better off to delve into that minefield another time. So that was issue two dealt with (well, at least started). Now for the more immediate solution to problem number one: how to get some pitta inside my belly as soon as possible. I decided I would make some over the weekend. However as always with these things one minute I am planning some simple falafel and pitta and the next its “Turkish feast at mine 8pm” (I learnt from last time and invited people that little bit later- although as you will see it didn’t really make any difference). And thus the day started like all weekend feasts – with a trip to the shops to get everything. Although this time I had a plan and I didn’t want to spend all day cooking. I worked out I would start at 6pm and finish at 8pm = perfect timing for some great food. As I have previously said I am a planner, but clearly very optimistic with my time management, as nothing took too much time – it was just I had a lot to do and this time there was no “sue” in sight. And a lemon tart for dessert. So at 6pm I embarked on the start of my dinner party preparations thinking I was fine for time – another grave time-keeping error! But time management aside the food was really pretty simple. I won’t give you every recipe for the sake of being slightly more concise but there were definitely some key elements that made the meal what it was. There isn’t really a method to this- just bung it all in a food processor and blitz together – you may need to add some more oil to get a smooth enough consistency. Add the yoghurt, followed by the drained cucumber. Mix well and store in the fridge until needed. Both these dips were so simple to make and bung in the fridge for later, and they tasted pretty darn good! I think they also serve as a brilliant dinner party snack, with a few carrot sticks they kept hungry guest at bay for that little bit longer! I remade these again for one of March’s interesting month lunch lunches and had the satisfaction of eating my From Scratch falafel whilst my friend munched down on her store bought- Falafel Fridays are definitely a hit! Then I embarked on my second type of bread – Pitta! 1. Mix the flour, salt, sugar and yeast together in a bowl. Stir in the warm water and olive oil and mix until it comes together as dough. 2. Knead on a lightly floured surface for 10 min until smooth. Place in a large, clean bowl, cover with plastic wrap and leave to rise for 2 hours in a warm place. 3. Punch the dough down, and knead for 1 minute. Cut the dough into 12 pieces, shape into balls, and set aside for 10 min. And finally my favorite part – the dessert. For the pastry, place the flour, butter and icing sugar into a food processor. Blend until the mixture looks like breadcrumbs, then add the egg and water. Blend again until it forms a ball. Roll out the pastry very thinly on a floured work surface until just a little bigger than the size of a 28cm/11 deep, loose-bottomed tart. Line the tart tin, letting the extra pastry overhang over the sides of the tin. Place on a baking sheet and then chill in the fridge for 30 minutes. Measure all of the filling ingredients into a bowl and whisk together until smooth. Carefully pour the filling mixture into the cooled baked pastry case. This for me was definitely the star of the show for me, not only did it look amazing, but it tasted delicious and was sooooo satisfying. In short, a lemony dream. 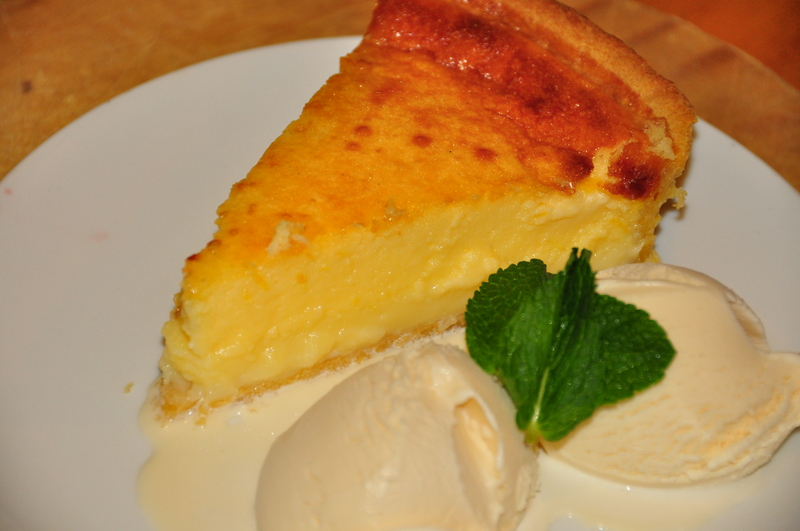 This will definitely be added to the ‘how often can I eat lemon tart without being greedy’ recipe rotation. This is a snipit of what I thought I could get done in 2 hrs – I think in fact its taken me more than that to actually get it all down on paper. Although I think optimistic cooking is sometimes the best way to go. Usually things turn out great and if they don’t there is always lemon tart. It was nice to end the evening feeling pleasantly full and knowing my guests seemed reasonably happy. It’s very satisfying to cook for other people and know they have enjoyed it. But hopefully this next month will prove its just fulfilling to cook for yourself. 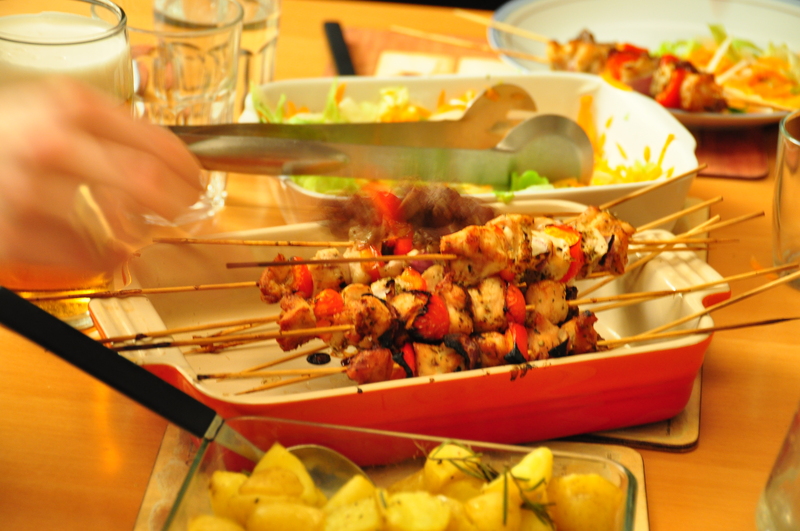 This entry was posted in Entertaining, Recipes and tagged Baking, Supper by lucy. Bookmark the permalink.